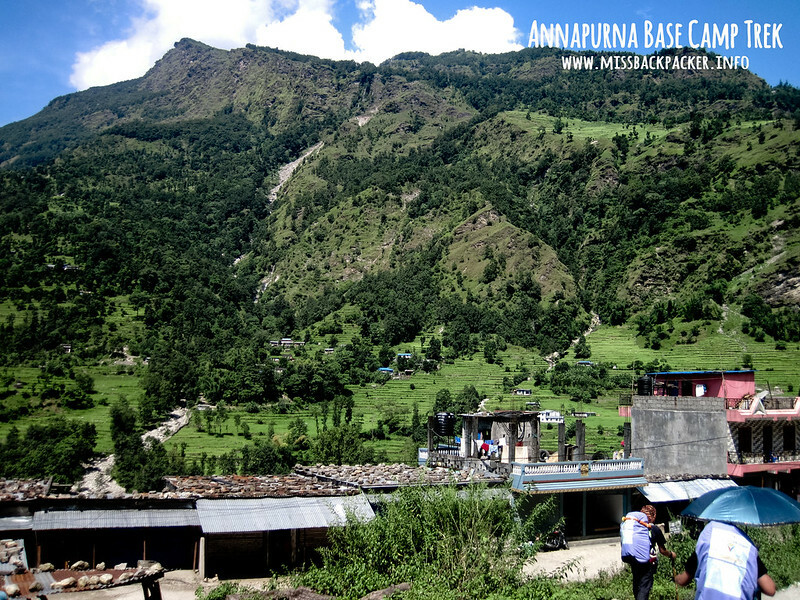 Annapurna Base Camp Trekking Budget | Where Have You Been Lately? You can apply for your visa either before leaving the country or upon your arrival in Nepal. 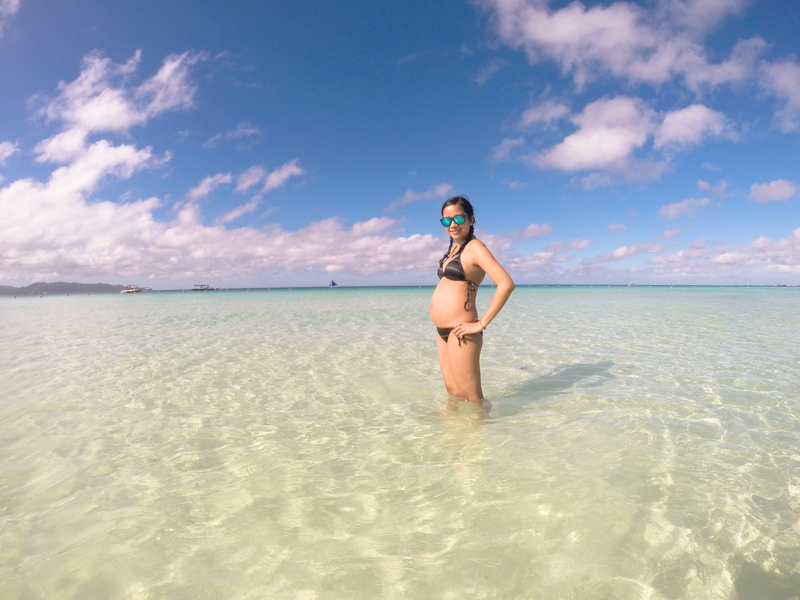 They issue tourist visa for 15 days, 30 days, and 90 days. 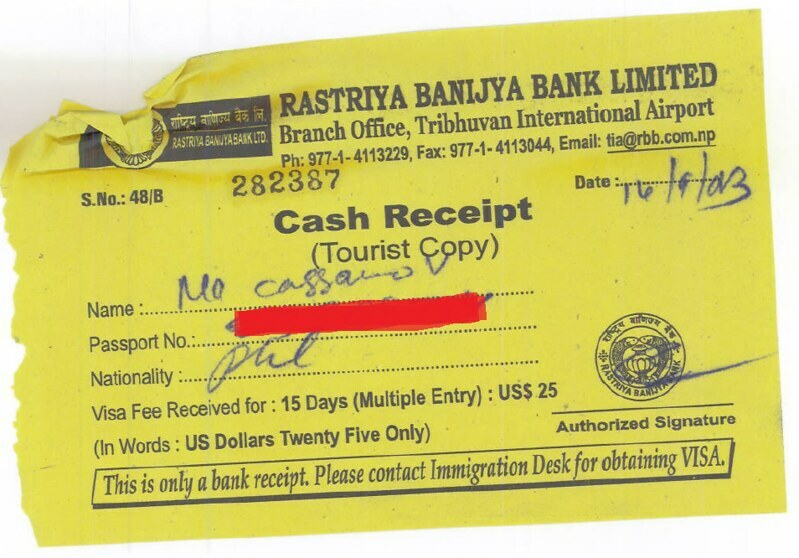 We paid for a 15-day visa for $25.00 since we’re staying in Nepal for 10 days only. The receipt that was issued to us after we paid our $15-visa fee. 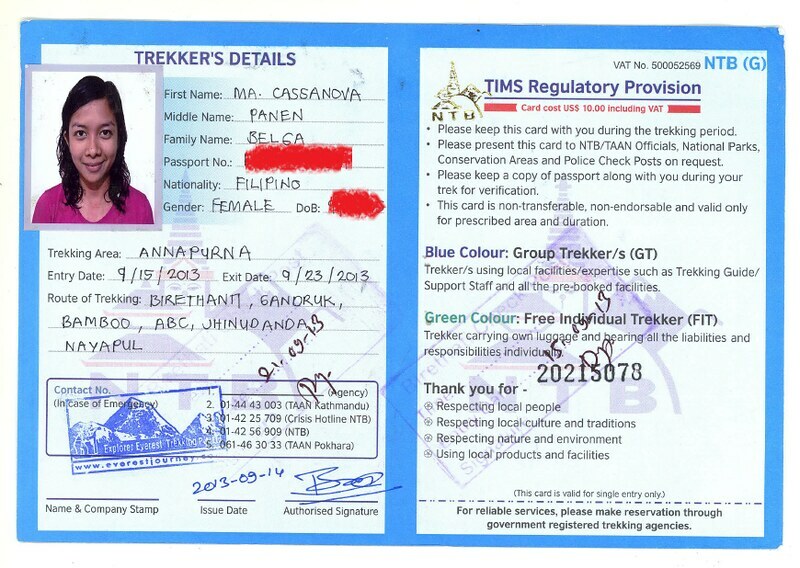 In order to enter the Annapurna Conservation Area Project (ACAP), trekkers are required to secure the Trekkers Information Management System (TIMS) permit for $20.00 and the ACAP permit for another $20.00 If you hire a trekking agency to make arrangements for you, the permits would cost $10.00 each. 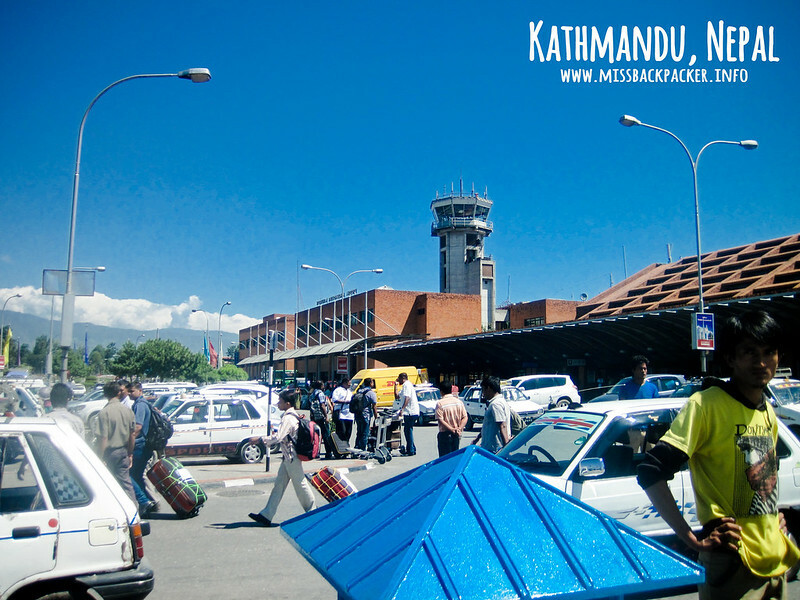 We were able to exit the Tribhuvan International Airport (TIA) a few minutes before 11:00 AM, and we needed to catch the last trip to Pokhara at 1:00 PM. Since we barely had time to choose our mode of transportation, we rented a van that could take us from TIA to a resto in Thamel where we could take our lunch, a currency exchange shop, and outdoor shops for a last minute gear shopping. We paid $20.00 for the van rental, which we divided into our group of six persons. Outside the airport, there are several cab drivers that offer their services. You’d know you’re in travelling in an inexpensive country if a local bus that’d take you to your destination in seven hours or so only costs $4.00. Yep! Riding a local bus from Kathmandu to Pokhara only costs that much. Unfortunately, we had to pay more than that when we got off the bus and hailed an un-metered taxi that would bring us from the drop-off area to the town proper of Pokhara. Our taxi fare skyrocketed to $6.00 each when we divided the total cost to six persons. 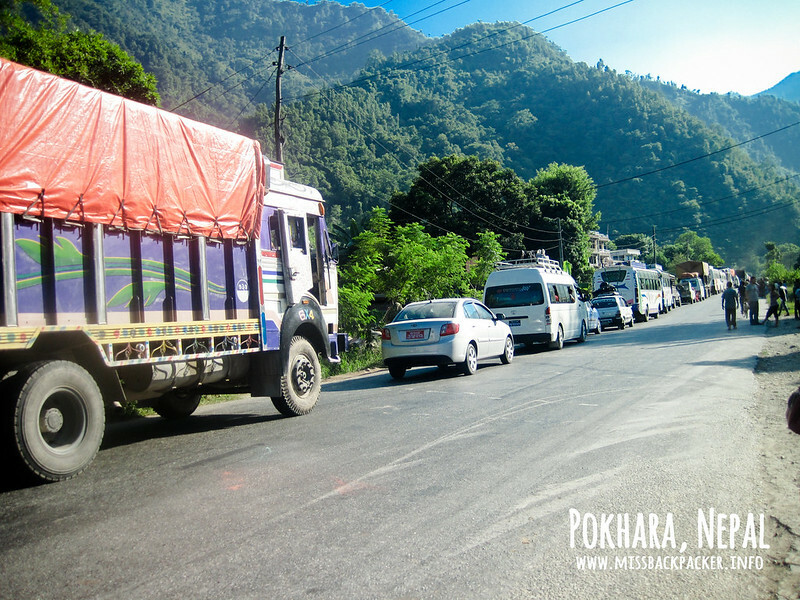 On our way to Pokhara, we got stuck into a 2-hour traffic because of an accident involving locals. 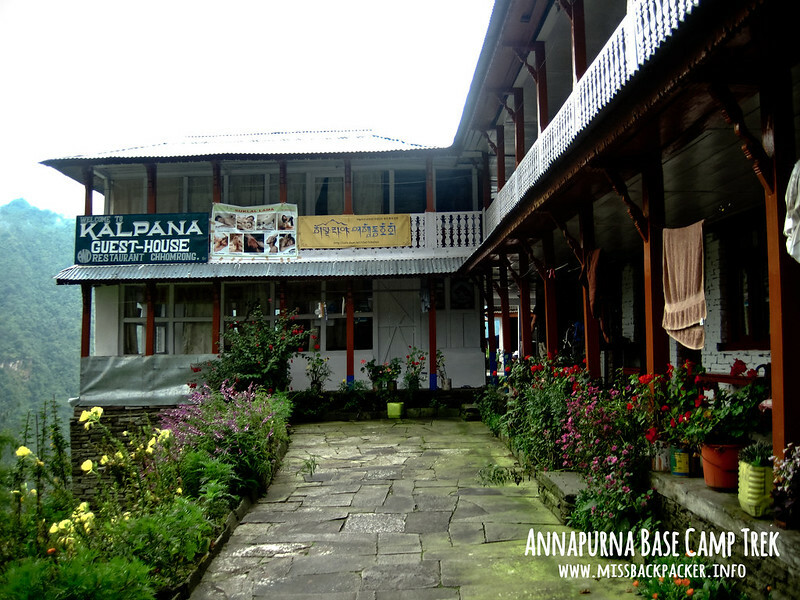 We spent our first night in Nepal in Hotel Angel in Lakeside, Pokhara for just $4.00 each. 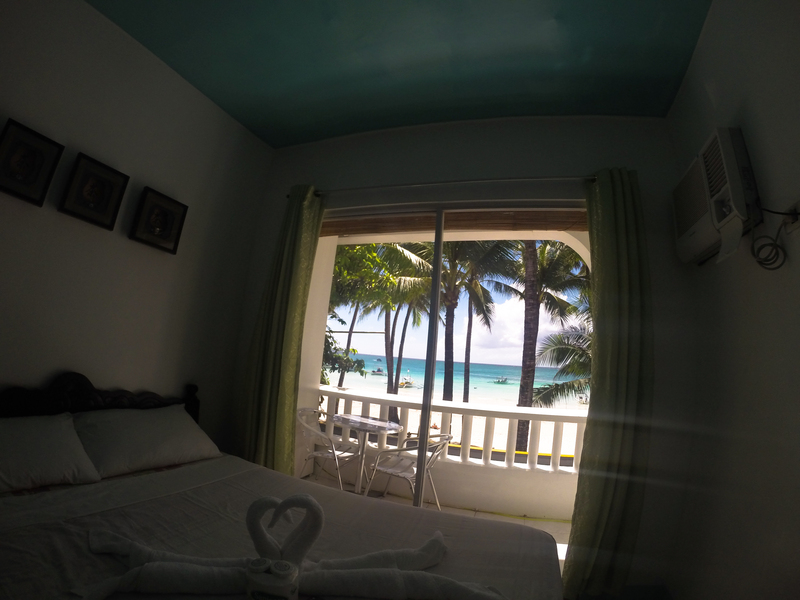 It was a dorm-type accommodation, and we were able to rent just one room with six beds. At night, it looks like one of the rugged hostels you’d see in horror movies. But when the sun rises, what a magnificent view you would have. 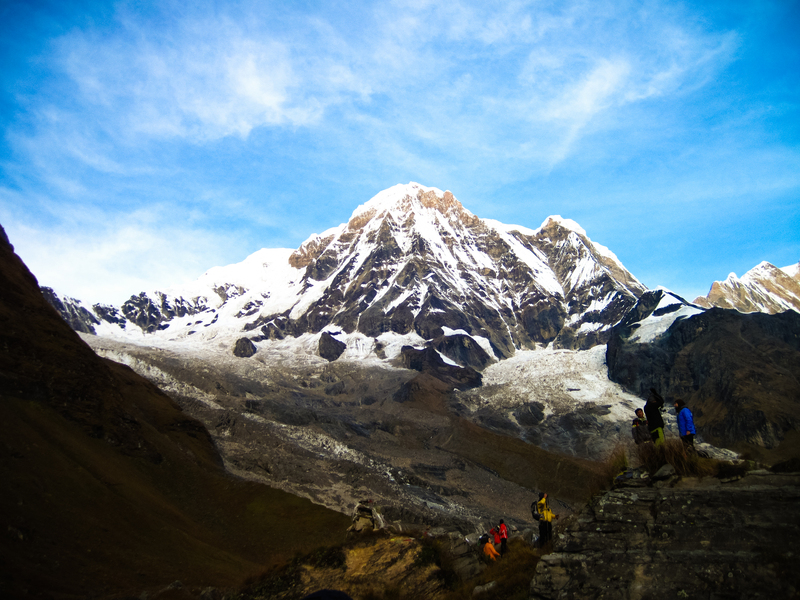 There are several starting points when trekking to the base camp of Annapurna I. 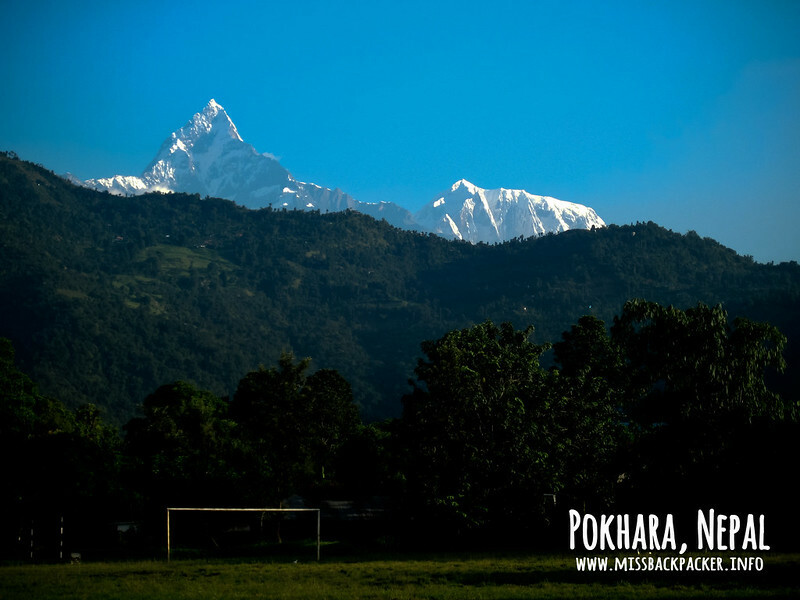 We chose Naya Pul as our entry point, which is two hours away from Pokhara. To get there, we rented a van (max of 8 passengers) from Pokhara for $35.00, which we, again, divided into six persons. The view in Naya Pul once you get off your vehicle. 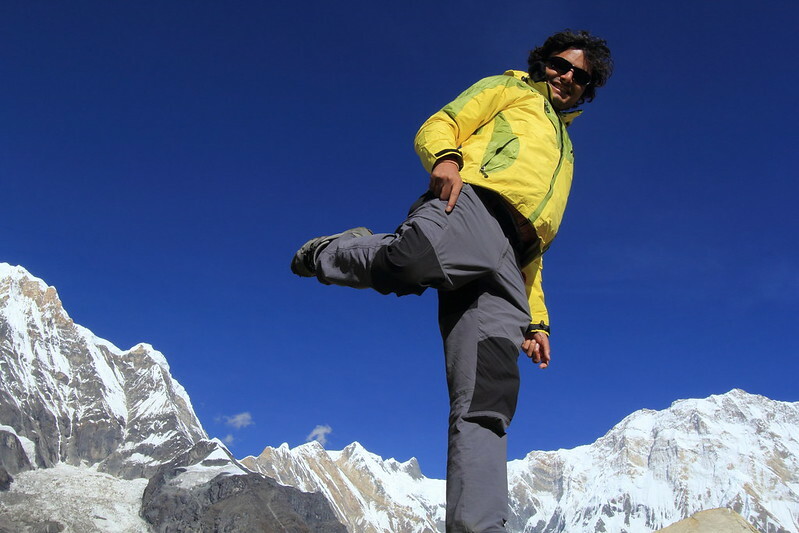 Since we only had 10 days in Nepal, we thought that hiring a guide who could aid us with the logistics would help us save time, and so we decided to hire Ramesh of Everest Journey. He offered us a packaged service in which we did’nt have to worry about anything, but we declined. 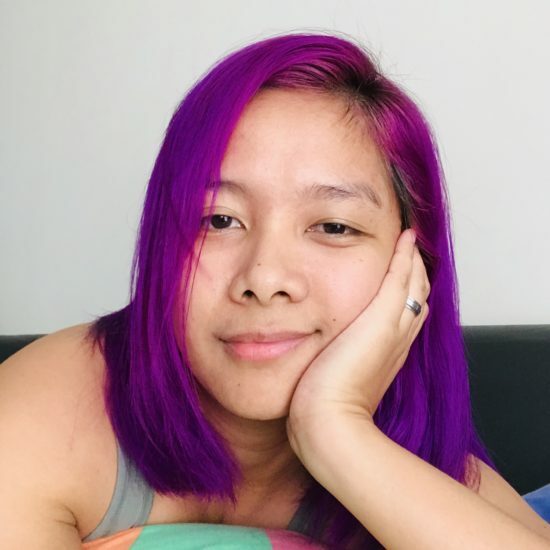 We’ve studied all of our trip’s logistics, and was confident that everything would be smooth it’s just that we have a very limited time to do most of the things we needed to. His daily rate was $30 (x 7 days and divided by six persons). Aside from being the gateway to the world’s highest mountains, Nepal is a popular trekking destination among outdoor enthusiasts because of its tea houses where trekkers can comfortably spend a night after an exhausting day of hiking. Prices may vary from $1 to $3 depending on the tea house’s type, but we spent $1 a night for most of the tea houses we stayed at. Our teahouse on our second day of trekking. When we consulted Ramesh on how much money he thought we should allot for our food during the trek, he said that it’s safe to budget $30 for each day. That makes it $10 each meal. I thought that was ridiculous until we had our first set of meals during the trek. Sure, you can spend less than $10 each meal ($30 each day x 7 days), but you’ll just deprive yourself of a sumptuous meal after a day of hiking. So yes, I spent $10 each meal just so I’d have energy to push through with the trek. Take note though that meat (beef, pork, chicken, goat, etc.) is only allowed until the village before Bamboo. This, according to Ramesh, is a sign of respect to the locals and their spiritual beliefs. When we reached the end of our trekking route, Siwai that is, a van was already waiting for us that’d bring us back to Pokhara. Again, we paid $35.00 for our two-hour ride back to the lake town of Pokhara. 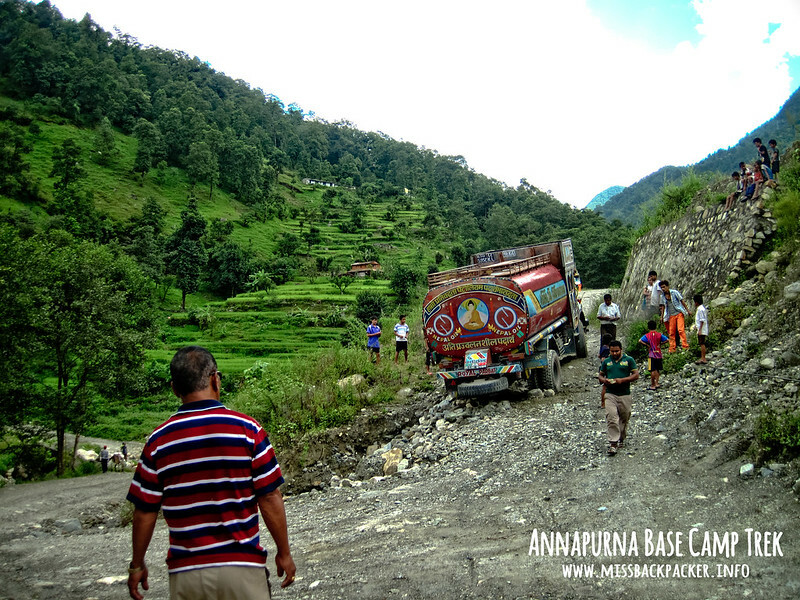 We again got stuck in another delay on our way back to Pokhara. This time, an oil tanker’s wheel got stuck in a muddy part of the road. I failed to book us a hotel back in Pokhara after the trek. Thankfully, we had Ramesh. He led us to this chintzy yet breezy lodging called Hotel Pleasant Home, which costed $50 for two rooms that’d fit the six of us. 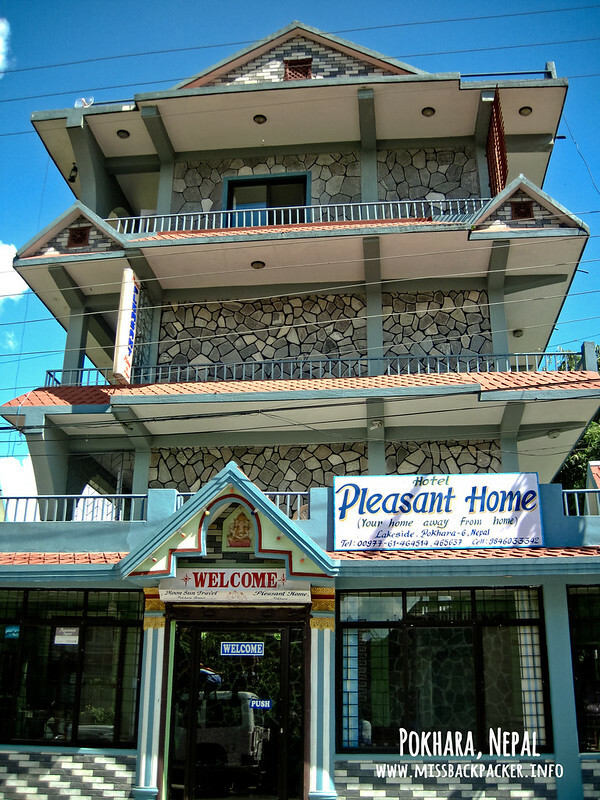 Our home in Pokhara after seven days of knee-breaking trek. Like what we did the time we left Kathmandu for Pokhara, we again rode a cab from Pokhara that would take us to their central terminal where Kathmandu-bound buses are parked. This one’s an epic fail. Being the shoestring travelers that we are, we all agreed on booking a room in Shree Lal Inn, which costed us a whopping $3.00 each. Lels. When we arrived at the lodge, everyone was disappointed. Yes, we booked a $3.00 room, so we shouldn’t keep our hopes high that we’re staying in a fancy hotel. Though the owners were very accommodating, it was just dingy and we said that we’re really tired from the trek and we were looking for something more comfortable. So Ramesh, again, helped us and brought us to Potala Guest House which is located in the heart of Thamel. We divided the cost of $50 for two rooms with large baths. Unlike when we first arrived in Kathmandu, we rented two cabs instead of a van to bring us from our hotel in Thamel to TIA. Each cab, which can carry up to three passengers only, costed $10.00 each. Also, had I done this trek on my own, I would have spent around $640.00. Aside from being more fun, traveling with friends can save you a lot of money since you can split your expenses within the group.